Pitt Meadows, BC, Canada rests on the banks of the Fraser River (southern boundary). The rural area extends north of the city butting up against the Pitt River and Pitt Lake (northern boundary). To the west is the confluence of the Fraser and Pitt Rivers (western boundary). The natural surroundings, agri -tourism and organic farming play a big part in the region hence the name "The Natural Place". Top attractions, adventures and activities most enjoyed in and around Pitt Meadows, BC, Canada and the surrounding areas are birdwatching, cycling, fishing, horseback riding, golfing, farm tours, sky diving, mountain biking, bmx biking, kayaking, canoeing, water skiing, swimming, camping, picnicking and hiking. Combine Maple Ridge with, nearby, Pitt Meadows and there are over 48+ kilometres of dykes to explore by foot or by bike. Some of the parks, lakes and green space areas in and around Pitt Meadows include the Golden Ears Provincial Park, Thornhill Park, Pitt Polder Ecological Reserve, Grant Narrows Regional Park, Pitt Lake, Pitt-Addington Marsh, Cottonwood Park and Linden Grove Park. What are the Accommodations, Services and Amenities in Pitt Meadows, BC? Pitt Meadows places to stay, services and amenities important to travelers include accommodations (hotels, motels, inns, bed and breakfasts (B&Bs), vacation homes, cottages, cabins, lodges, hostels), campgrounds, tours, guides, attractions, big box stores, nightclubs, restaurants, laundromat, coffee shops, wineries, breweries, spas, grocery stores, pubs, liquor store, banks, gas station, gift stores, and internet service. 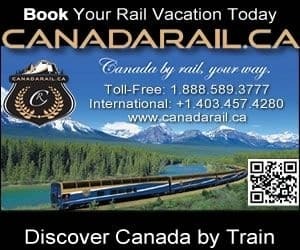 How Do I Get To Pitt Meadows British Columbia? Transportation services getting to and from Pitt Meadows, British Columbia include the main highway of course (Highway #7), and then there is taxi, bus, car rental, rail, and the (YVR) Vancouver International Airport (44 minute drive - 47 kms) and the BC Ferries Tsawwassen Terminal (45 minute drive - 57 kms) and Horseshoe Bay Terminal (42 minute drive - 57 kms). eh! Plan to Visit Pitt Meadows, BC today.